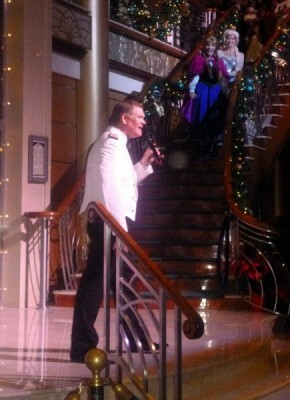 Sailing with Mickey on a Disney Cruise Line Very MerryTime Cruise! So, you’ve probably heard of a maritime cruise… but how about a Very MerryTime Cruise? 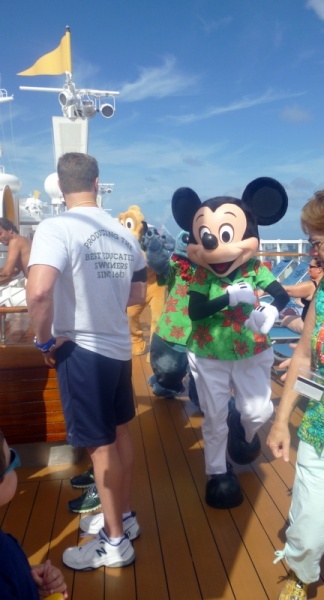 Because when you’re sailing with Mickey and the gang on Disney Cruise Line from mid-November through December, THAT’S exactly the kind of cruise you’ll have! 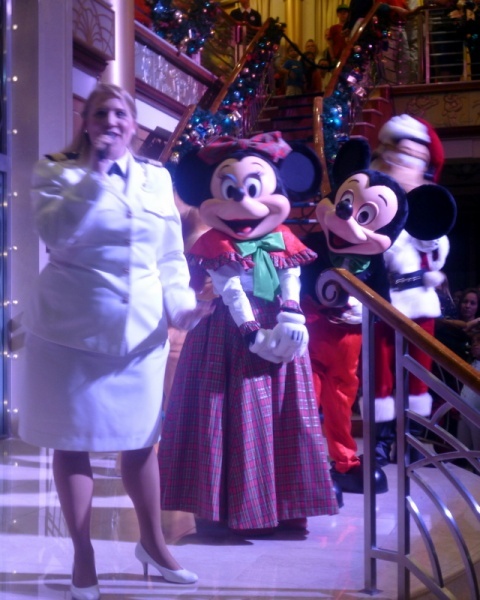 From holiday decor to special activities and parties, Very MerryTime cruises enhance the already amazing experience of a Disney Cruise with yuletide cheer. Just when I thought the Disney Magic couldn’t get any more beautiful, the additions of a huge twinkling Christmas tree in the Atrium and lighted garland on the banisters made it even more so. 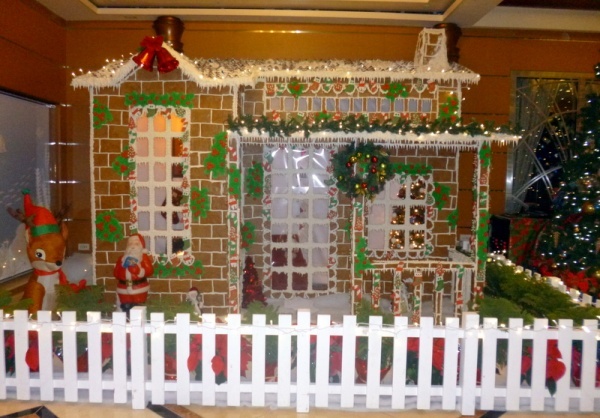 A larger-than-life gingerbread house completes the holiday decor! 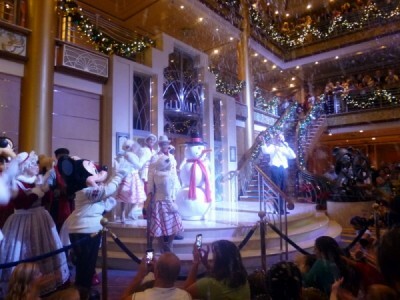 Holiday festivities kicked off on the first night of our cruise with a Tree-Lighting Ceremony led by the Fab Five, who also gave us plenty go opportunities to join in some festive caroling fun to get everybody in the holiday spirit. The characters also came out to dance the night away at the Winter Wonderland Ball (new to MerryTime sailings this year). But not until after it began to SNOW in the Atrium, thanks to a special visit from Frozen’s Queen Elsa, visiting with her sister, Anna! Please note: I’m uncertain as to whether Anna and Elsa appear on every cruise. 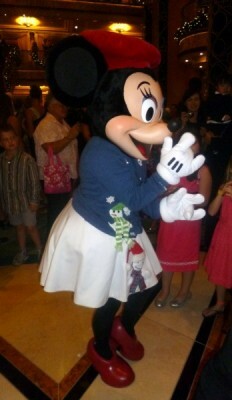 If they are on your sailing, you’ll know by the excited shrieks of all the little princesses on board ;). 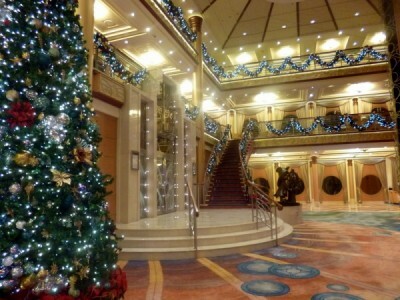 For anyone curious, the Winter Wonderland Ball took place during my cruise on the designated “Formal Night” for dinner seatings. However, since the ball began around 10 pm, many people had changed back into their cruise casual clothing, which was just fine :). 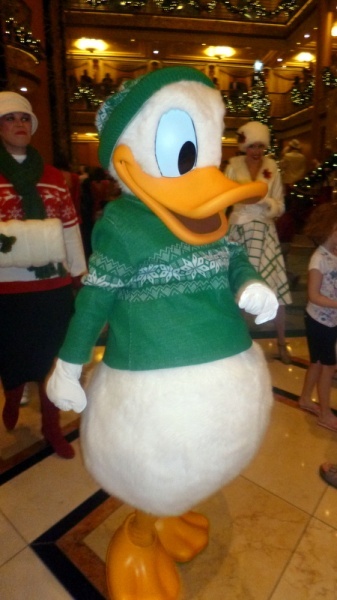 The Ball is definitely more on the casual, fun side of things than on the formal. 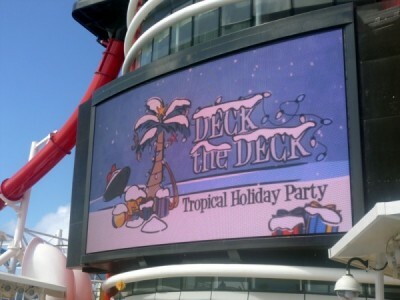 The Deck the Deck Tropical Holiday Party allows guests to celebrate the holidays in island style — perfect for the warm weather winter destinations with Disney Cruise Line. 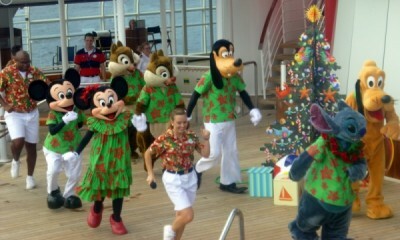 Leave it to Mickey to lead the conga line! 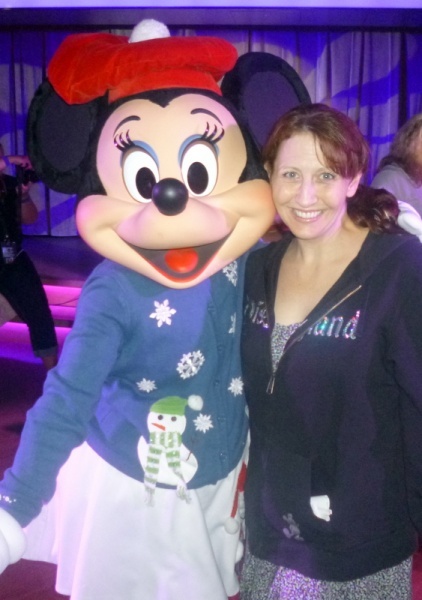 As much fun as all the extra activities and parties were (and they really were! 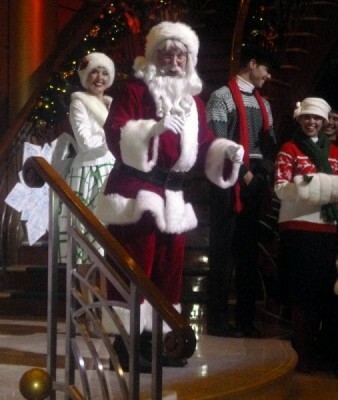 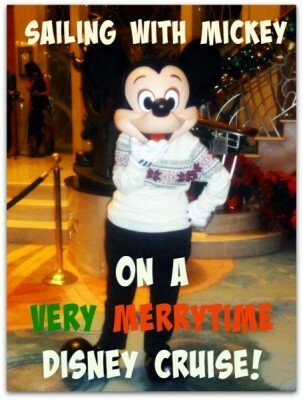 ), I have to admit that my very favorite thing was seeing the Disney Characters in their special Christmas wear :). 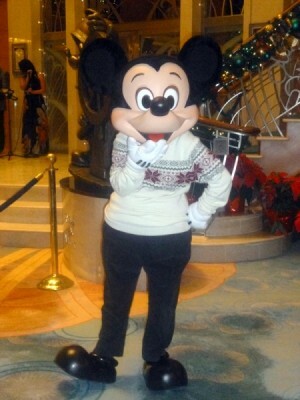 It just doesn’t get much cuter than Mickey in a Christmas sweater! What else is waiting for you on a Very MerryTime Cruise? 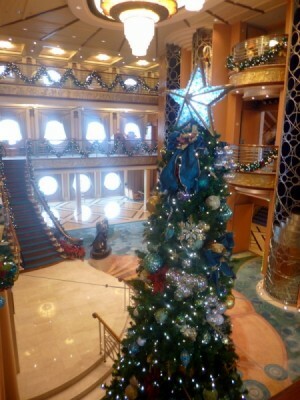 Special holiday decorations at Castaway Cay, unique activities for kids and families throughout the cruise such as making your own gingerbread house, and simple touches such as carols playing on the sound system throughout the ship. 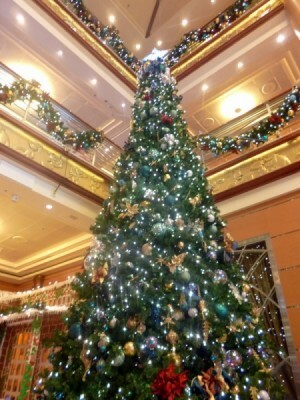 A Very MerryTime cruise is grand, festive, beautiful, whimsical… and yes, extra MAGICAL! 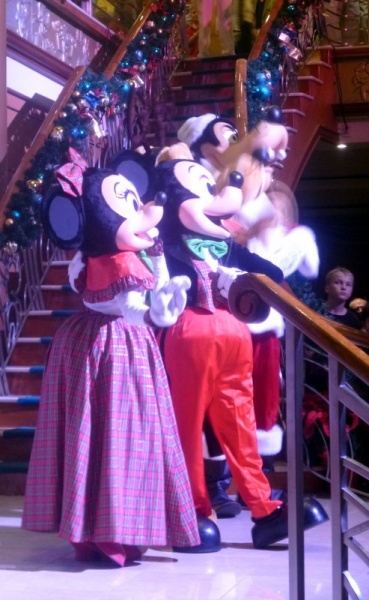 For more information on planning a Very MerryTime Cruise of your own (or a fantastic Disney Cruise any time of year), be sure to visit the Mouse For Less Disney Cruise Line page to prepare for an unforgettable holiday celebration on a Disney Cruise!